We made mention that it was happening this morning – and it just has- albeit 15 minutes earlier than anticipated. 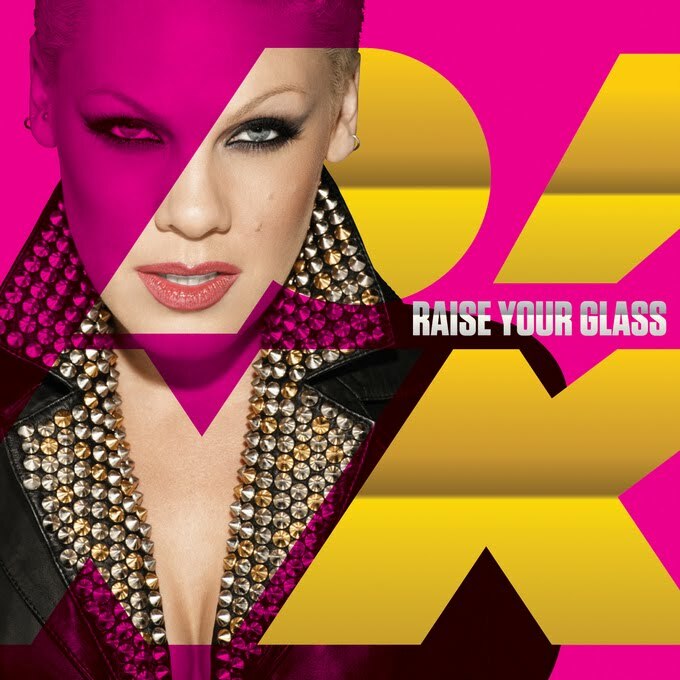 Pink’s brand new single ‘Raise Your Glass’ has just been serviced to Australian radio and it’s anticipated that although it’s being taken out to media later in the week, it’ll be the week’s most added track come Monday morning. Co-written by Max Martin and Pink herself, the track is one of three new songs to be features on the singer’s forthcoming Greatest Hits package (below), which will hit Aussie retail on Friday November 12. Check our latest post regarding the tracklist. Sony’s press release gives conflicting reports. In one instance it says we’ll get two new tracks including the new single. In the tracklisting, it says we’re getting the new single PLUS two other new tracks. auspOp when you say “Australia is getting three new tracks” does that mean we will get an exclusive? or am i just reading too much into it? Pink will announce on her official website when the single will be made available for purchase. Twist Of Troy and Jim JIm, someone’s kindly popped the Aussie tracklisting in the comments below for you. Ian, yes, there’s a Guy Sebastian best-of coming. No details just yet, but the next single from it is called ‘Who’s That Girl’ and it goes to radio on Monday week. My Beautiful Dark Twisted Fantasy, we’ve stopped saying ‘breaks cover’ these days – and besides, the cover image for the single was already available on Pink’s official website. Stephen, no, Australia is getting three new tracks, not two. The other two, however, are still to be confirmed. ^ Hmm, isn’t that just a rumoured one? It seems weird to include a cover of ‘Whataya Want From Me’, but not include #1 single ‘Most Girls’. You forgot to mention that for the “GHSF” australian release (for once) we get a better tracklisting than the overseas versions! Although “Feel Good Time” and “Most Girls” are still missing, unfortunately. Do you know the Aussie tracklisting? Cheers in advance. Is this a contractual obligation do we know, or is Pink fully behind it? Ypu shoud call the story “PINK SENT TO RADIO AND BREAKS COVER”, coz, you know, you’ve just broken the covers for both the compile and single??? You know Christmas isn’t far away when the labels start announcing Greatest Hits packages! Would it be possible for you to gather all the “official” GH in one list so we don’t miss out on any??? I saw a Guy Sebastian GH on one of the online retailers lists the other day, too. Thanks for all your hard work, auspOp! Much appreciated. Can’t wait to see how the Tracklisting will be. I love me some P!NK! She’s had so many Hits especially here in Oz so wonder what will make it. When will this be on itunes? Any news on when will the single be out on iTunes?